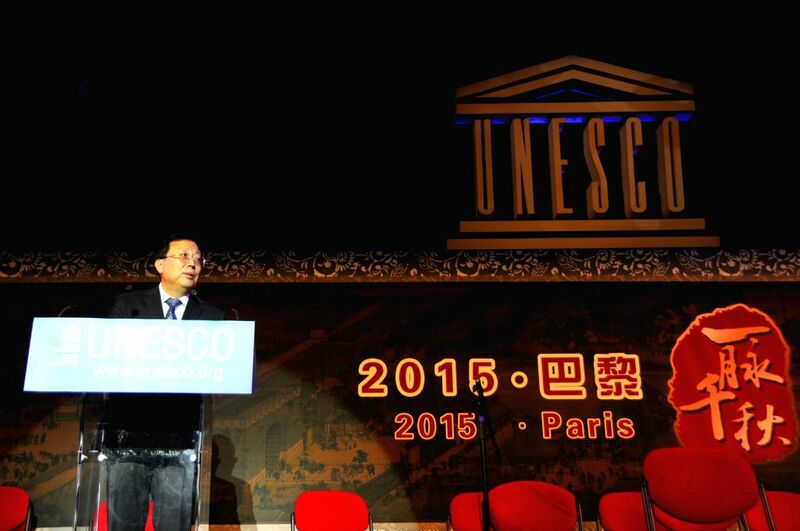 PARIS, Nov. 3, 2015 - Hao Ping, president of the 37th Session of the General Conference of the United Nations Educational, Scientific and Cultural Organization (UNESCO), speaks before the opening of a Chinese opera concert in Paris, France, Nov. 2, 2015. A Chinese opera concert was held here in celebration of the 70th anniversary of the founding of UNESCO and its upcoming 38th General Conference. 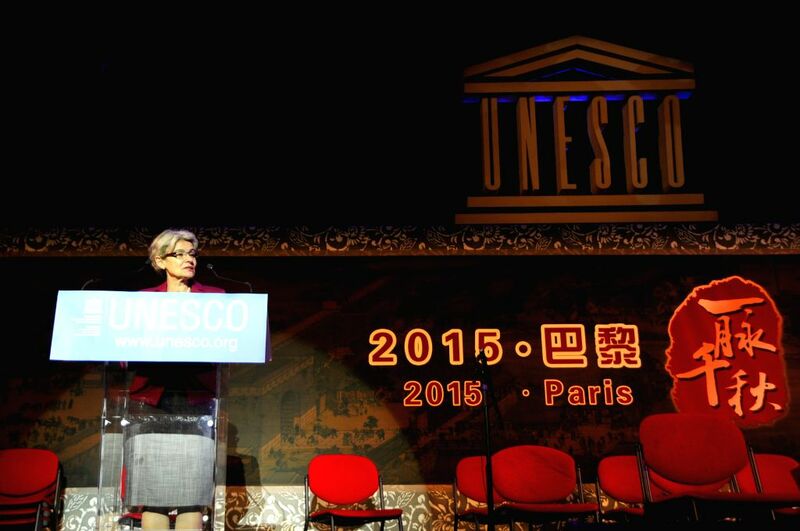 Irina Bokova, director-general of the United Nations Educational, Scientific and Cultural Organization (UNESCO), speaks before the opening of a Chinese opera concert in Paris, France, Nov. 2, 2015.